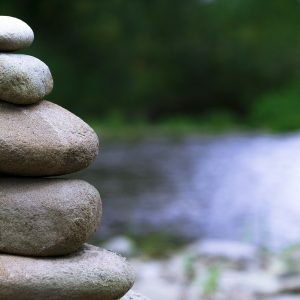 Experiencing mindfulness is not just about learning a technique or the flavour of the day. True mindfulness is being aware… being present in every moment of every day. There are people that teach mindfulness online, hold workshops, and/or write books about it. Then there are others that spend their whole lives searching, exploring and living mindfully. Even realizing that when they are not mindful of an action, that they are mindful of not being mindful. As this talk of mindfulness becomes more popular in today’s society, people are jumping on board like a religion. But… it’s not like going to church every once a week and going about your daily routine for the rest of the six days. It’s about going about your daily routine for 7 days a week and being present, being mindful of each action, thought or feeling that you experience. In talking with people about this concept, it appears to me that it’s become a new skill set that one must learn instead of experiencing the joy of living in the present moment. People have even told me that they get mad at themselves when they forget to live mindfully or be present in each moment. My thinking… my thoughts… are if I can even experience one moment of every day in mindfulness, then I am one step closer to total awareness. Being to me is being totally present, totally mindful, totally aware of that precise moment in your life where there is no past, no future, but only right NOW! Do you ever get those moments when you are stressing about something that has happened in the past or might be going to happen in the future? I know I have! But, if I’m able to take a step back and be aware of this exact moment in time that I’m living, I have to admit that right here, right now that all is well with my world. It is only when I focus on past or future circumstances that my stress level goes up and it’s at this moment I can choose to be mindful. I had a friend who was always stressing about money. It wasn’t that they didn’t have any, but based on past experiences, they may not have any in the future. Who would pay the bills, how would they put food on the table? All future stuff. Nothing that had taken place yet but caused stress nonetheless and it was a vicious cycle that they saw no way out of. They had to admit that there wasn’t a lack and their needs were met right at this point in time. They took a deep breath that sounded like letting the air out of a tire and relaxed into the moment. This moment… this one moment in time is really all we have. It was so interesting to watch as in the moment of letting go, new thoughts came to mind. Thoughts that were in the present moment and it was like watching lights coming on. Possiblilites arose. Again… for that moment, all was right with the world and there was peace. For me, I find that I’m the most mindful or present when I’m out in nature, working in the garden or watching and photographing the birds. I become so engrossed in the experience that it’s like time standing still and all there is is me at that moment. Those are the special times of the day, and yet I don’t seem to bring those experiences into my life completely. It’s like I keep those moments separate knowing that I will be mindful at those points in time. In writing it down, it seems a little silly of me. Why wouldn’t I want the same experience the whole day through? And my mind says… you don’t have time. Apparently, there is part of me that thinks there are time constraints on being present. But really… I’m here. Right now. In this moment and it’s the same amount of time as if I wasn’t thinking of this moment. Let’s try again… So, as I sit at my desk and write this, I’m noticing how the keys feel against my fingers as I’m typing. The pressure that is expended and the agility of my digits. And I’m aware of the words being typed across the screen and amazed at how such a small thing as hitting a key can create an article like this that can be read around the world. Oops, hold on, I’m getting into the future. I pick up my bottle of water and feel the heaviness and the smooth texture of the glass. I notice how much pressure I need to exert in order to pick up the bottle and as I bring it to my lips I can feel the rim as the cold water slides into my mouth and into my body. It has taken me way longer to write about it than to actually do it. But… while it is being done and I’m noticing and aware, there is nothing else but that moment. I’m not thinking about my typing, I’m not correcting the article or even thinking about what I will write next. I’m just experiencing the bottle. Fully! That felt so good, now I’m looking around for things to things to observe so I can recreate the experience. And I again head into future thoughts. I think this is going to take a little more practice as my mind wanders off to some unrelated point in time. 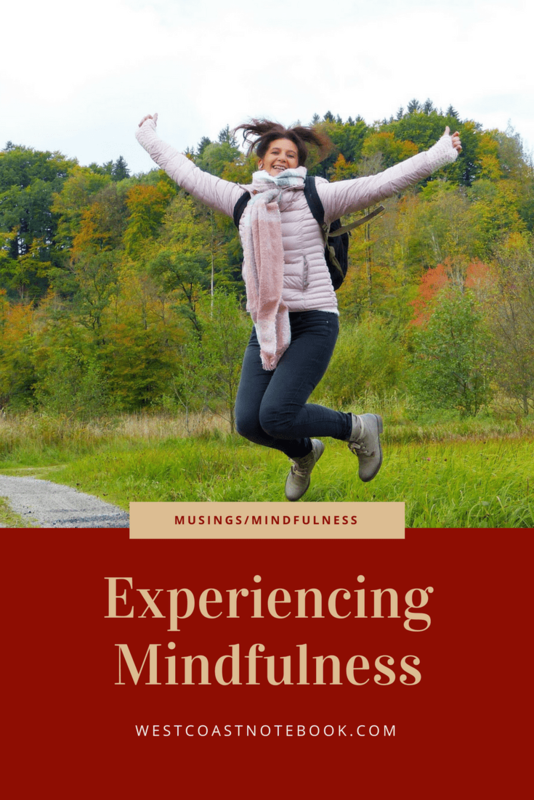 But… if I can experience mindfulness even for a few moments each day and be conscious of my thinking and feelings then maybe, just maybe I will live more in the heart and less in the head. Ahh… that feels so good.